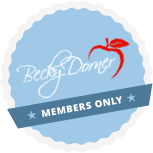 Becky Dorner & Associates, Inc. has been a trusted Continuing Professional Education (CPE) Provider (NU004) with the Commission on Dietetic Registration (CDR) since 2002. Our CPE programs meet the requirements for the CDR’s Professional Development Portfolio. Because our courses are approved by CDR, they are also accepted by the Florida Council of Dietetics and Nutrition. Becky Dorner & Associates, Inc. is an accredited provider of continuing professional education by the Commission on Dietetic Registration (CDR), which is on the National Certification Board for Diabetes Educators’ (NCBDE) list of Recognized Providers. To use CPE courses for your CDE credits, courses must be on a diabetes-related topic. Courses that include NCBDE under “Professional Approvals” are appropriate for NCBDE. For courses that are not clearly related to diabetes, NCBDE may request a written statement explaining how the course relates to diabetes. You will receive one certificate for use for both CDR and NCBDE (you may print an extra copy of the certificate and write your CDE member number on it for your NCBDE records). Course descriptionss that include CBDM under “Professional Approvals” are approved for fulfilling the continuing education requirements of the Certifying Board for Dietary Managers (CBDM). CDMs may also complete a course and self-report it in their Certifying Board for Dietary Managers (CBDM) record. It is the individual’s responsibility to keep all documentation including proof of attendance, course description/syllabus, and certificates of completion in case of an audit to prove that every CE program submitted is valid, appropriate or worthy of CE for a CDM. RNs may also be able to obtain credit if the course is relevant to nursing practice. Check with your state licensing board to assure that you may use courses from Commission on Dietetic Registration (CDR) Accredited Providers towards your state license continuing education hours. They may require a written statement explaining how the course relates to nursing practice. Please check with your certification or licensure board to see if they accept courses/programs from Commission on Dietetic Registration (CDR) Accredited Providers. If you are an experienced item writer or expert reviewer, and are interested in working with us, we’d love to hear from you. Please contact us.